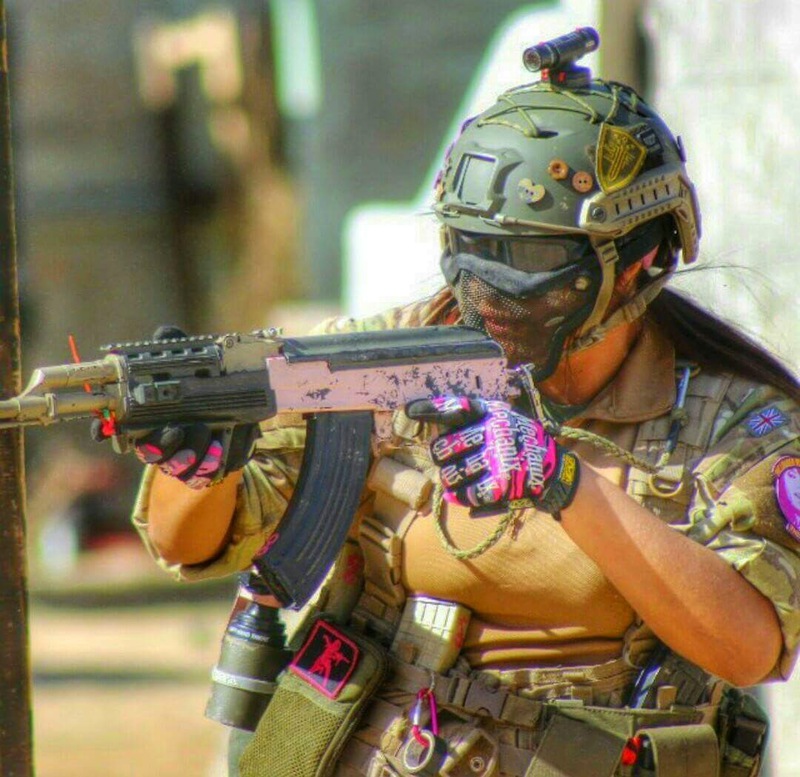 Next in my Slaydies Series spotlights is awesome Airsoft_Hasmeen! Hasmeen is a Slaydie from the U.S currently living in Bakersfield, California. 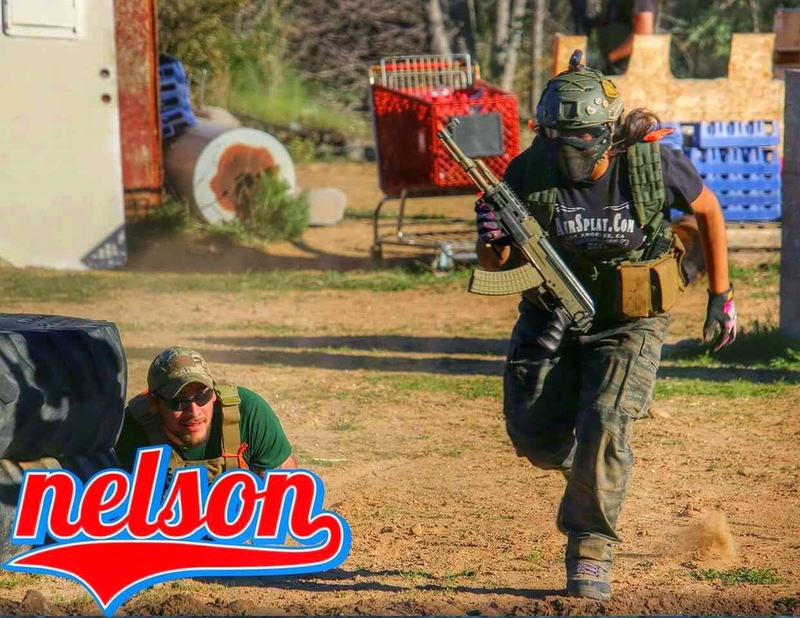 She's widely known throughout the YouTube and IG Airsoft Communities, and has even collaborated with Wicked Wear Co. Thank you so much for taking part in my Slaydies Series Hasmeen! Can you tell my readers about your Airsoft background? How long have you been in the sport? What originally got you into Airsoft and what do you love about it? Where is your home site? What are the most memorable sites you’ve played? I have been playing Airsoft since 2010. I first started playing in the woods with a small group of people. We used to build our own fields, using branches and pallets. 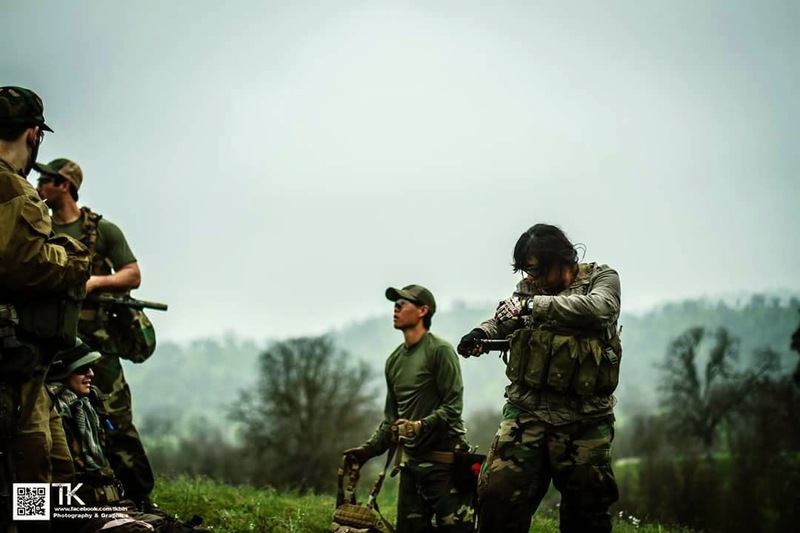 Then I moved to California and I was amazed by not just how many people play Airsoft but how many fields there are! I love to travel and play at different fields, I love the challenge of not knowing the layout and how to work it. My favourite thing about Airsoft would have to be all the different ways it can be played. I can’t say that there is one particular field that stands out above all others. They all have their pros and cons. The most memorable game I have ever gone to was a few weeks ago. I went to Road to Rostov a game put together by Milsim West. It was an experience unlike any other. I would say I'm a pretty diverse player, and it really depends on the game being played. I am known to work best alone, lone wolf style. I am very sneaky and have been able to capture objectives alone. I’m also known for being a very aggressive player, I can think on my feet and I can change my path without the opponent even realising that I have moved. We know you're known as the AK Assassin, is the AK your weapon of choice? And what loadout do you normally run? My weapon of choice would have to be my stockless AK47, it performs very well and has been very reliable. I run an m4 style chest rig, it has double m4 mag pouches so my AK mags fit perfectly. You are definitely one of the Slaydies that are pushing this fantastic sport forward, but do you feel you are treated differently because of your gender? If so, how do you deal with this? 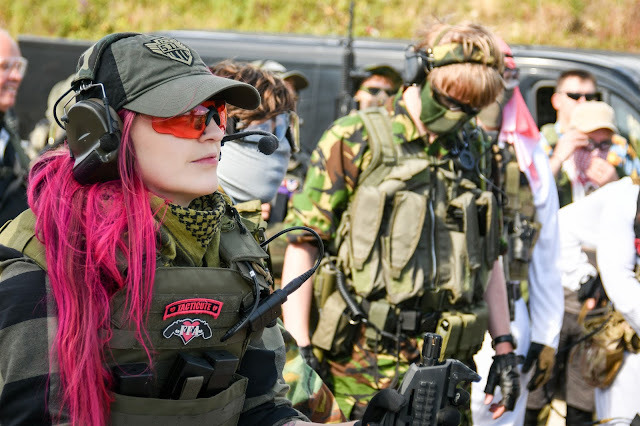 As a female in airsoft, I would say my gender has definitely played a role on how people treat me at first. The first time I ever played at a Local field, I was picked last for teams. People just figured that since I was a girl I didn't know how to play. It's also very hard to share your ideas because people just seem to brush them off. However once people get a chance to play with me, they respect me fairly quickly. So I guess to deal with it I just play. I let them underestimate me and then I get on the field and they realise that I do know what I'm doing and that I love the sport as much as they do. After that I am usually seen and treated as an equal. But you sometimes find that guy on the field that refuses to be killed by a girl but that's a whole different story. What I would say to other players out there, especially female players would have to be: just keep doing what you are doing! Don't let the fact that this is a male dominated sport intimidate you. You can and will be respected a player as long as you play with passion and integrity.